Fireworks and T-Shirts. Happy 10th, P.E.T.S.! Thanks to you, P.E.T.S. is turning 10 years old on July 11th, 2017! From day one, the mission of the P.E.T.S. 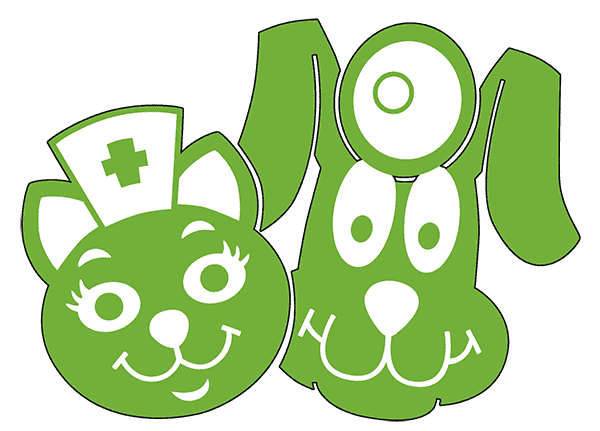 Nonprofit Organization of Wichita Falls has depended on you bringing your pets to the clinic, donating resources in the form of time or money, getting the word out by telling friends, and sharing social media posts. Any of these activities makes you essential to the mission of making sure Wichita Falls area pets have the resources they need to thrive in loving homes. With over 45,000 spays and neuters to date, your support has prevented up to 625,000 unwanted pets from leading lost and lonely lives due to the limited number of responsible households available. What began with folding tables and 10 spays and neuters 10 years ago, has turned into a local nonprofit linking supporters through the love we share for our pets. Today, you are still the driving force pushing for programs built to improve the lives of area pets. Providing low-cost spays and neuters to pets and no cost spays and neuters to over-represented breeds and feral cats, building fences for dogs living on chains, and making sure that all area pets have access to affordable preventative care are only a few of the programs made possible by you. But there’s still much work to be done. With your help, even at 10 years old, your community of pet lovers is just getting started. While we are taking just a moment this month to reflect on the past 10 years, there are no plans to stop. Thanks to you and your continued support area dogs and cats will continue to have access to all the programs developed for them over the last 10 years, and we have more in the works. To continue what you’ve started we must double down on our efforts. This is a nonprofit organization and success depends on you. Please continue to do all you can to support the effort, and thank you for all you have done and will continue to do to make the lives of pets in the Wichita Falls area better. Every time you bring your pets into the clinic, tell a friend, donate money, donate time, and share a social media post: You are P.E.T.S.! Our celebratory 10th Birthday Shirts are Only Available Until July 15th! 100% of the proceeds go to saving and improving the lives of Wichita Falls area pets. Want to Be in a P.E.T.S. Commercial? Submit your video testimonial and you have a chance to be in a P.E.T.S. commercial on KAUZ and top prize will also win two tickets to Castaway Cove! We want to hear about your experience! How has P.E.T.S. played a part in the lives of your pets? 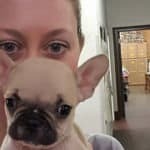 Do you have any great stories about bringing your pets into the clinic, or what the clinic or a program has done for your pets? If so, grab your phone or race to your webcam! All videos must be in by Midnight on July 14th. Video testimonials may be used as part of our promotional efforts on Facebook, YouTube, or future commercial projects with local television stations. See full terms and conditions on the contest page. We will contact you by email after the 14th of July if you have been selected to discuss details for the commercial filming. Winners will be announced on Facebook, Twitter, and Instagram after we have made contact by email. Buy a Candle with your $1 Donation! The P.E.T.S. 10th birthday cake is gaining candles fast, but we still have room for yours. They are available for only $1.00, and every dollar makes a difference. Your support saves lives. Fourth of July is known for loud fireworks, barbecues and celebrating our country’s independence. Yes, these activities might be fun for us, but it’s not always fun for your pets! 1. Always keep your pet indoors. Even if your pets are used to being outside, the loud noise of fireworks can scare them into unusual behavior. More dogs run away and become lost on July 4th than any other day of the year. 2. Don’t leave alcoholic drinks unattended where pets can reach them. Alcoholic drinks can poison pets. If ingested, the pet can become very intoxicated and weak. Death from respiratory failure is possible in severe cases. 3. Keep matches and lighter fluid out of pets’ reach. Some matches contain chlorates, which could damage blood cells and result in difficulty breathing, or even kidney disease. Lighter fluid can irritate the skin, and if ingested can produce gastrointestinal irritation and central nervous system depression. If lighter fluid is inhaled, aspiration pneumonia and breathing problems could develop. 4. Don’t feed your pets table food. Any change in their diet can cause indigestion and diarrhea. Keep in mind the onions, chocolate, coffee, avocado, grapes, raisins, salt, and yeast dough can be potentially toxic to your pets. 5. Keep citronella candles, insect coils, and torch oil products out of reach. Ingestion can cause stomach irritation and possible central nervous system depression. If inhaled, the oils can cause aspiration pneumonia in pets. 7. Don’t use fireworks around your pets. Even if your pets aren’t scared of fireworks, make sure to never use them while they are around. Exposure to lit fireworks can result in burns and/or trauma to the face and paws. Even unused fireworks can pose a danger. Many fireworks contain toxic substances, including potassium nitrate, arsenic, and other heavy metals. 8. Make sure your pet is properly identified. Just in case your pet breaks loose and becomes lost make sure they are microchipped or have their ID tags on. Losing them without these things will make them that much harder to find. P.E.T.S. wishes you and yours a happy 4th of July!